Hiring a Human resource manager either for large organizations or small organization, whatever it may be, is a big responsibility in itself. One has to be highly considerate of candidate’s professional skills, education, experience and other important credentials. The difference in large and small organizations for hiring process differs in terms of time period i.e. in large organizations candidates can be large in number while in small organization the number of candidates can be fewer and the process of selection can also be short. Whatever type of organization it is, one can find a suitable candidate through a proper interview process which includes asking queries to the candidate. Enlisted few HR manager interview questions here. The following mentioned are few list of HR questions for managers and techniques to prepare for an interview. 1. Explain how will you motivate the employees and assist them in achieving professional goals? 2. An employee is not satisfied with his or her performance appraisal and explain how will you explain this issue to the supervisor and will handle the employee’s concern? 3. Which according to you, human resources discipline you believe drives the focus of the department? 4. You have to give a presentation on behalf of human resources department. Explain three points you would use to convince the audience to permit HR to board table? 1. What will you do if you have to take a decision involving both discipline and the termination of action. Explain how will you act and solve the issue, and also give the follow-up steps? 2. Explain how will you negotiate the terms of conciliation agreement? 3. You happen to take decisions that potentially could impact the large segment of workforce. What steps will you take to explain the reason for your decision and rephrase it in a way that has a more positive tone for the employees? 4. Explain the methods of administering an employee and how to interpret the results of opinion survey? 5. An emergency arrives in the administration department, how will you tackle that emergency situation and that too without creating any panic? 1. What do you do to keep your professional skills intact and up to date? 2. What key competencies you see in your assignment and how has your development gone these days? 3. Mention some of the development factors you have undergone a certain change in the last few years? 4. Explain the steps to hire the most competent employee for a particular department that results in more efficient output or result of an organization? 1. Till the time when you were not satisfied with the work your team has done and how did you handle that? 2. What things or what efforts are you using to ensure the efforts of your team? 3. What motivational techniques will you use to boost the morale of the employees and tell the difference you saw in their working due to your motivation back up? 4. How will you handle the situation of disagreeing with the objectives and directions that the team worked on and so on? 5. Have you ever been on a dysfunctional team? If yes then explain what did you do to bring the situation on the track? 1. Explain the continuous methodologies you are aware or familiar with and also tell about your personal experience? 2. What special have you done to reframe and redefine your work in a particular area you are working? 3. What innovative ideas would you give to the team so as to bring greater and potential output for your company? 1. What kind of system or methods you currently use to report the progress of your work? 2. What type of metrics you and your team has used in past years to measure the work in your area of specialization? 3. Give an example of how will you follow on through the projects that you delegate on others? 4. Also tell if there is more than one supervisor, whom will you show the result of work being done? 5. In case any blunder is made by use by mistake, then how will you be accountable to the supervisor and also explain the situation with an example? 1. How many people have you supervised at a particular time? How many of them were part time or full time and so on? 2. Did only you have the sole responsibility of both hiring or firing the employees of an organization? 3. What have you done to motivate your employees also explain the time when they were and were not motivated by your style? 4. What do you think your employees say about you as a manager? Have you ever been an example of what you expected from others, say being punctual, presenting work on time without any delay and so on? 5. What according to your knowledge skills are required to be a good leader and what skill are you an expert in? 6. Give an example, when you handled a grievance of an employee that did not result in better working relationship? 7. How did you treat your employees and solve the discipline problems of them? 8. Also, tell the situation when you handled the employee grievance and that resulted in better working conditions for all other employees in an organization? 1. Tell your professional experience in the next two minutes? 2. Which aspect of working did you find challenging in your previous job? 3. Why do you think this company should hire you? 4. Do you really consider yourself as a self starter? And why? 5. In what and how many different ways could you contribute for this job? 6. What kind of experience do you have with respect to procedures, equipment and tasks? 8. What difference you expect from this company and why should it hire you only? 1. Explain when you were in great pressure and how did you handle that? 2. Pressure is constant at every step of working so describe when you were not able to handle it well? 3. How many employees did you handle at one point of time and what tip will you give us to handle the same situation? 1. Tell about current and last job? 2. What aspects of last job were challenging and in which of them you failed and succeeded? 3. What steps do you generally follow while you take general decisions apart from work? 4. What are your plans for your self development in next coming year? 5. What attributes you think a resource manager must possess? 1. What are your strength and weaknesses as a human resource manager? 2. What is span of management? 3. What are fringe benefits? 4. Give the difference between incentives and salary? 5. 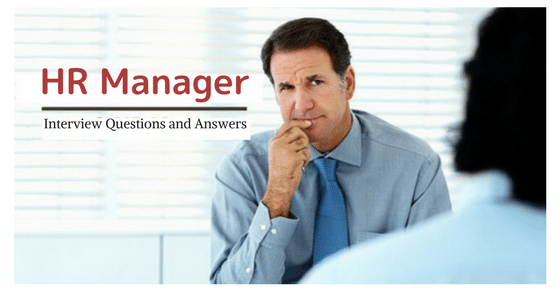 What is personnel management? 6. What are the roles and responsibilities of a human resource manager? 7. Give the responsibilities of a personnel manager? 8. Why did you choose human resource as a career? 9. Factors that determine the span of management? 10. Characterize the organization, along with it’s principal values and greatest challenges? 11. What three things are the key which would drive results for the company? 12. How according to you company promote and support the professional growth? 13. How does your this position contribute to your as well as your company’s growth and goals? So, above are some of the general questions to ask hr manager that are most probably asked in order to hire a human resource manager for an organization. The interviewee must be confident and should have prepared himself or herself before being interrogated. This process of the interview has though been tough, but if clarified, changes a person’s life to a greater extent and is quite beneficial. One just needs to be confident enough to face this challenge of queries because sometimes the queries sound too harsh and are also must for the candidate to answer. Apart from the above stated, the interviewer might ask the candidate queries related to family and personal life just to create confusion in a person’s mind. Such things and queries must be dealt with patience and smartness. Next articleHow to Overcome or Deal with Lack of Focus?